The causes of cat flu have nothing in common with human flu, other than the similarity in name. And it's worth confirming that owners cannot catch cat flu from their pets - something which has often been an unnecessary worry to people. Human influenza is caused by a single virus, but cat flu is a syndrome and can be caused by several different infectious agents known as pathogens. There are only three pathogens which are believed to be capable of causing cat flu on their own - namely the viruses Feline Calicivirus (FCV), Feline Herpesvirus (FHV) and the Bordetella bronchiseptica bacterium. in the cat family, while the bacterium Bordetella bronchiseptica is capable of causing disease in other species including dogs, including kennel cough. Cleaning and disinfecting is of paramount importance in attempting to control an outbreak of feline influenza - feeding bowls, toys and baskets are all capable of carrying the infection, as are humans via clothing, footwear and hands. Feline Herpesvirus normally only survives in the environment for around 18 hours but Calicivirus is more resilient and can survive for up to seven days. nerve, where it reinfects the mucosal cells, replicates and is eventually shed. Pets who are infected with feline herpesvirus will continue to be latent carriers during their lives and will shed the virus when they are stressed. 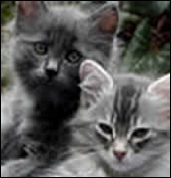 Calicivirus is very common and is shed by around 20% of cats. Calici is shed into the saliva from oropharynx and can also be shed via faeces. As always you should contact your veterinarian as soon as you suspect your cat may have developed cat flu. And you should take immediate precautions to prevent your pet coming into contact with other cats or kittens in an attempt to stop them from becoming unwilling victims of cat flu too.